Choosing to purchase a home is a significant investment that involves a complex financial transaction. There are many details that a first time buyer will need to consider carefully and understand completely before touching pen to paper. 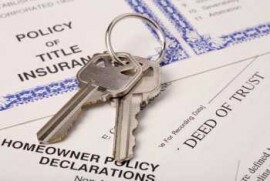 One of the most commonly overlooked details is the acquisition of a title insurance policy. In fact, title insurance was originally created here in America, and it’s purpose has not changed since it was first advertised more than 100 years ago. Still most buyers — despite mortgage lenders who require title policies — simply do not know why they would want or need to purchase a policy. Some assume that their interests will be protected by the required title insurance. The reality is that full protection will not be realized without a separate policy. The title insurance policy serves as solid proof that the property someone believes they own is really theirs. The protection homeowners get with this policy is based on a title search of the public records. The property’s chain of ownership is traced through the years, and the title company provides their guarantee that the title in question is accurate. This is why a thorough examination is warranted prior to completing any real estate purchase. Otherwise some title discrepancies could be missed. It’s also why title insurance stands apart from other insurance policies, as it defends policy holders from the past and not the future. Owner’s Title Insurance: This policy is issued in the amount of the purchase price for the property to protect the buyer’s interest. The insurer is liable to pay any and all valid claims on the title. Lender’s Title Insurance: Mortgage lender’s in most states require this title insurance policy to preserve their security interest in the property. This policy is issued in the amount of the loan. As the mortgage is paid off, the coverage is depleted. The title company is also liable to pay any legal fees incurred from defending against an attack on the insured title so long as a policyholder retains some form of interest in the real estate. Even if you have purchased property from someone who didn’t own it very long, you are advised to ask for an up-to-date title search on the real estate. Lastly, you’ll also want to purchase a new title insurance policy as the policy of the previous owner will not protect your interest. 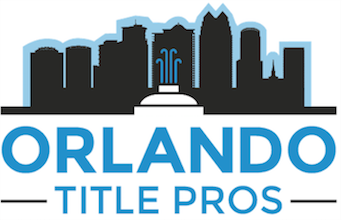 Why Are There More Foreclosed Homes in Orlando?What are Title Insurance Policies – Do You Need Title Insurance?